Sica Dry / Wet Sanding is made of high quality Silicon Carbide. This is a synthetic grain which is harder and sharper but also more brittle than aluminium oxide. When the grains are worn, they break and therefore remain sharp. Silicon carbide has a black color and therefore this product is only available in black. 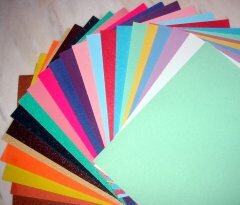 All Santo Wet Sanding papers have a high quality flexible and waterproof Latex backing. Products are available upon request and subject to minimum order quantities. Contact us directly to discuss your individual requirements.